Most conflicts in collaborative design are categorized as the problem of fuzzy multiple attributive group decision-making (FMAGDM). Both fuzzy assessments and the aggregation of multiple experts’ opinions should be considered in the conflict resolution process. 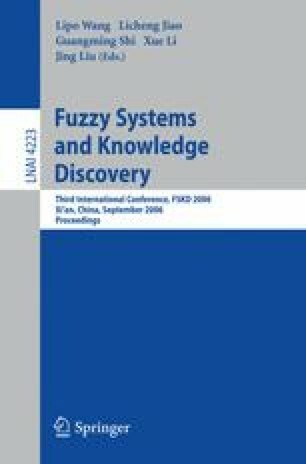 This paper presents a new approach for the problem, where cooperation degree (CD) and reliability degree (RD) are introduced for aggregating the vague experts’ opinions. Furthermore, a fuzzy multiple attributive group decision-making expert system (FMAGDMES) is proposed to provide an interactive way to solve conflicts in collaborative environment. It is an intelligent integrated system because it combines fuzzy set theory with the method of group opinion aggregation. The vehicle performance evaluation as a real case is used to validate the efficiency of the proposed expert system, which is implemented by using c++. Supported by the National Basic Research Program 973 of China (No. 2004CB719405).